Throughout human history, nature has been always a source of inspiration for human beings in different aspects of their life and Architecture is also not different. Nature always introduces an emotional element as it is an important aspect to deal with every day. Nowadays Architects and interior designers are constructing buildings using concepts inspired from nature but what we should aim for is to build structures in harmony with nature. Human beings have always communicated with nature since the dawn of time and found numerous advantages with it. 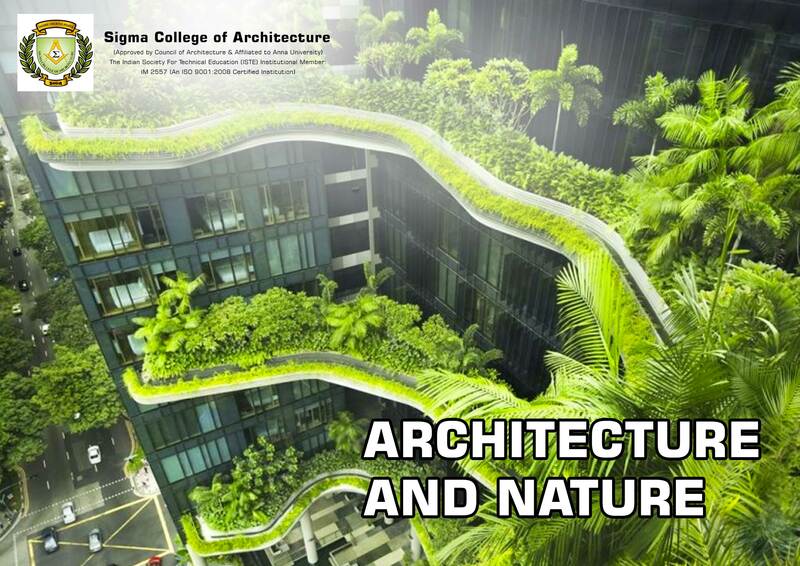 Therefore, there is a need for a theoretical and conceptual framework in obtaining guidelines for designing new natural buildings to be integrated with the surrounding environment. Nowadays many researchers are working on it because they feel that nature is a great source to inspire from it and more than that the earth needs it.